(SAN FRANCISCO) –– Drivers with the largest natural and organic food supplier in the United States, United Natural Foods, Inc. (UNFI), have chosen representation by Teamsters Local 853 in Oakland. 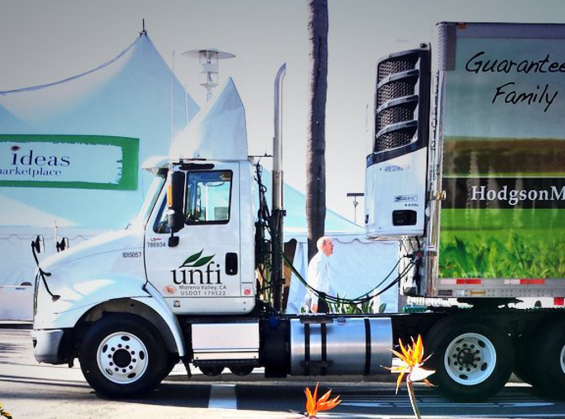 The 31 drivers based out of Gilroy, Calif., transport supplies for UNFI to major clients like Whole Foods, Amazon, Genentech, Sprouts and Google. In January, drivers with the largest natural and organic food supplier in the U..S., United Natural Foods, Inc. (UNFI), voted to be represented by Teamsters Local 853 in Oakland. The drivers are seeking fair scheduling and compensation for excess hours, seniority for overtime, improvements to safety and a shorter wage progression, among other gains.